Syska Group, a leading FMEG company announces the launch of ‘Reverb C2 Wireless Earphones’. Syska Reverb is a perfect light weight, comfortable hands-free mobile companion and is powered by really long-lasting battery to make sure that your days are filled with music you love. It features high definition speaker and multifunction button with IPX4 water resistance, long lasting battery and magnetic earbuds. Syska Reverb Wireless Headset comes with HDAB Technology for rich bass and clear sound to deliver best music experience to the consumers. 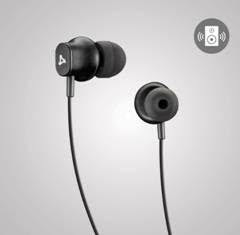 Commenting on the launch of Syska Reverb earphones, Gurumukh Uttamchandani, Executive Director, Syska Group said, “New technologies are replacing the wired earphones with the wireless ones and consumers are now fond of bluetooth earphones because of the ease to carry them. By launching Reverb C2, Syska is not only looking at providing a seamless music experience to the user but we also want the consumers to experience comfort in the communication aspect too. We believe in bringing new and innovative products that will benefit the consumers and change their perception from using just a normal earphone to a classic earphone. Syska Reverb is esthetically designed to provide comfort and style at the same time and it is an all-day wear with great features”.